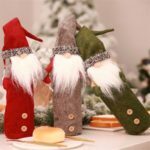 This wine bottle decoration is made from premium and soft fabric, durable and reusable, a fast and perfect way to dress up your wine bottle. 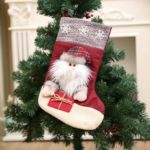 Adorable Santa Claus/snowman hug design, will add add more festive atmosphere to your Christmas dinner. 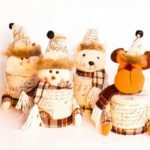 It is perfect as a surprise for Christmas gift, full of your love for kids, friends and family. 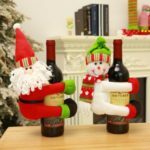 Adorable Santa Claus/snowman hug design of the red wine bottle, will add add more festive atmosphere to your Christmas dinner. Made from premium and soft fabric, durable and reusable, a fast and perfect way to dress up your wine bottle. 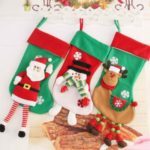 Fits for regular size bottles like champagne bottles and other high or shaped bottles, perfect Christmas table decorations. 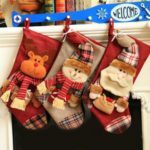 It is perfect as a surprise for Christmas gift, full of your love for kids, friends and family.